Atlas provides the widest array of testing options to help you accurately determine the light and weather resistance of products and material formulations, including color and appearance properties as well as additive effectiveness and functional performance. Products colored with dyes and pigments such as textiles, inks/paints/coatings, plastics, foods & beverages, paper, and others can fade or shift color when exposed to sunlight, or even the interior lighting of stores, homes and offices. Protective and functional additives are often added to materials, especially when subjected to the combined stresses of outdoor weather, to improve performance. However, their efficacy in improving product durability and lifetime needs to be accurately determined for both product development and warranty purposes. While there are many international standards and test methods available, these are often not applicable to specific materials, or the size and shape of the product may be an important testing consideration. As such, Atlas offers the widest array of natural and accelerated outdoor exposures and laboratory instrument based products and testing services to provide the optimal testing solutions for every need. With over 100 years of weathering testing innovation and experience, Atlas can advise the best testing approaches and exposure and evaluation techniques, whether performed in your lab or one of ours. Natural and accelerated outdoor exposures can be conducted either under glass or directly exposed to the sun and weather. Artificial, laboratory accelerated lightfastness or weathering tests, using optically filtered full solar spectrum xenon arc sources, can be conducted to industry standard test methods in your lab or ours. For oversize product testing, Atlas’ laboratories have environmental chambers equipped with specialized full-spectrum metal halide sources for large area solar simulation. Depending on your product and specific needs, Atlas has a variety of laboratory lightfastness and weathering instruments. Our Xenotest instruments are commonly used for textile testing, or small volume testing of paints & coatings, plastics, inks, etc. 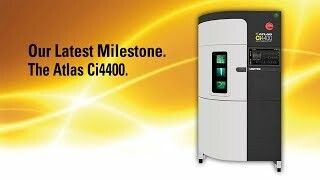 Atlas Ci-Series instruments are higher powered, larger test specimen size and overall sample capacity instruments and meet most industry standard test methods. The SUNTEST instruments range from benchtop units, useful for testing small test specimens, to floor standing models suitable for larger individual test specimens, or those with more 3-dimensionality than typical flat samples. Full solar or window-glass filtered spectra are generally preferred over UV-only testing, especially for color and appearance properties. This is because many photodegradation reactions are the result of far-UV and visible light exposure, and specimen temperatures are closer to those in actual service use. However, if the wavelength sensitivity of your product is well understood, fluorescent-condensation testing with the UVTest may be appropriate, or if required by a standard. Atlas’ weathering science experts can advise the proper testing technique, parameters and equipment based on your product characteristics, how and where it is used, and your individual needs.